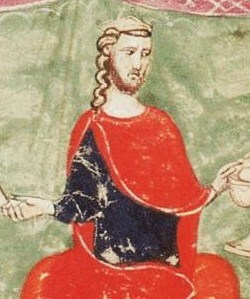 James I the Conqueror was King of Aragon, Count of Barcelona, and Lord of Montpellier from 1213 to 1276; King of Majorca from 1231 to 1276; and Valencia from 1238 to 1276. His long reign—the longest of any Iberian monarch—saw the expansion of the House of Aragon and House of Barcelona in three directions: Languedoc to the north, the Balearic Islands to the southeast, and Valencia to the south. By a treaty with Louis IX of France, he wrested the County of Barcelona from nominal French suzerainty and integrated it into his crown. He renounced northward expansion and taking back the once Catalan territories in Occitania and vassal counties loyal to the County of Barcelona, lands that were lost by his father Peter II of Aragon in the Battle of Muret during the Albigensian Crusade and annexed by the Kingdom of France, and then decided to turn south. His great part in the Reconquista was similar in Mediterranean Spain to that of his contemporary Ferdinand III of Castile in Andalusia. One of the main reasons for this formal renunciation of most of the once Catalan territories in Languedoc and Occitania and any expansion into them is the fact that he was raised by the Knights Templar crusaders, who had defeated his father fighting for the Pope alongside the French, so it was effectively forbidden for him to try to maintain the traditional influence of the Count of Barcelona that previously existed in Occitania and Languedoc. This is a list of the counts of Urgell, a county of the Principality of Catalonia in the 10th through 13th centuries. The Compromise of Caspe made in 1412 was an act and resolution of parliamentary representatives of the constituent realms of the Crown of Aragon, meeting in Caspe, to resolve the interregnum following the death of King Martin of Aragon in 1410 without a legitimate heir. The Llibre dels fets, originally spelled Libre dels feyts, is the autobiographical chronicle of the reign of James I of Aragon. It is written in the Catalan language in the first person and is the first chronologically of the four works classified as the Grand Catalan Chronicles, all belonging to the early medieval Crown of Aragon, and its first royal dynasty, the House of Barcelona. 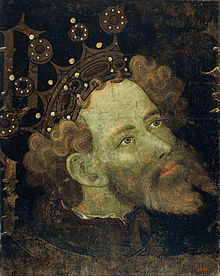 James I inherited as a child the titles of King of Aragon, Count of Barcelona, and Lord of Montpellier, but also became by conquest King of Majorca and King of Valencia. James emphasises in his chronicles his conquest of Majorca (1229) and of Valencia (1238). The Catalan Civil War, also called the Catalonian Civil War or the War against John II, was a civil war in the Principality of Catalonia, then belonging to the Crown of Aragon, between 1462 and 1472. The two factions, the royalists who supported John II of Aragon and the Catalan constitutionalists, disputed the extent of royal rights in Catalonia. The French entered the war at times on the side on John II and at times with the Catalans. The Catalans, who at first rallied around John's son Charles of Viana, set up several pretenders in opposition to John during the course of the conflict. Barcelona remained their stronghold to the end: with its surrender the war came to a close. John, victorious, re-established the status quo ante. 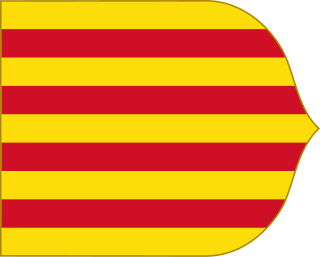 The Catalan Courts or General Court of Catalonia was the policymaking and parliamentary body of the Principality of Catalonia from the 13th to the 18th century. The courts were made up of three arms or estates: the military estate which included representatives from the nobility, the ecclesiastical estate which saw representatives from the religious hierarchy and the royal estate which had representatives from the municipalities. The courts were summoned by the king who opened with a royal proclamation while the arms were in charge of legislating, always with the support of the sovereign. If the laws that were approved came from the king they received the name of "Constitutions", if they came from the Estates, "Court Chapters". If the king passed a law unilaterally it was called "Acts of Courts" and required ratification by the courts.